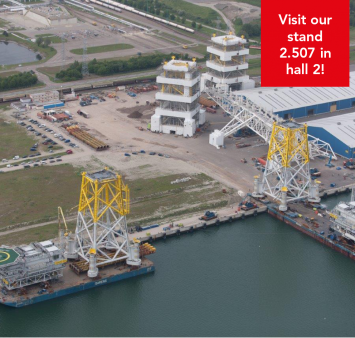 Smulders will be exhibiting at the Offshore Energy exhibition on 23 and 24 October in Amsterdam. Offshore Energy attracts a global audience of more than 12,000 offshore energy industry professionals. The three-day event, features an exhibition where over 600 companies will showcase their products and services. The accompanying conference on Monday 22 October addresses current and future issues in the offshore industry, covering developments in oil & gas, offshore wind and marine energy. The event will take place at the RAI in Amsterdam. We look forward to meeting you in Amsterdam! Visit our booth 2.507.